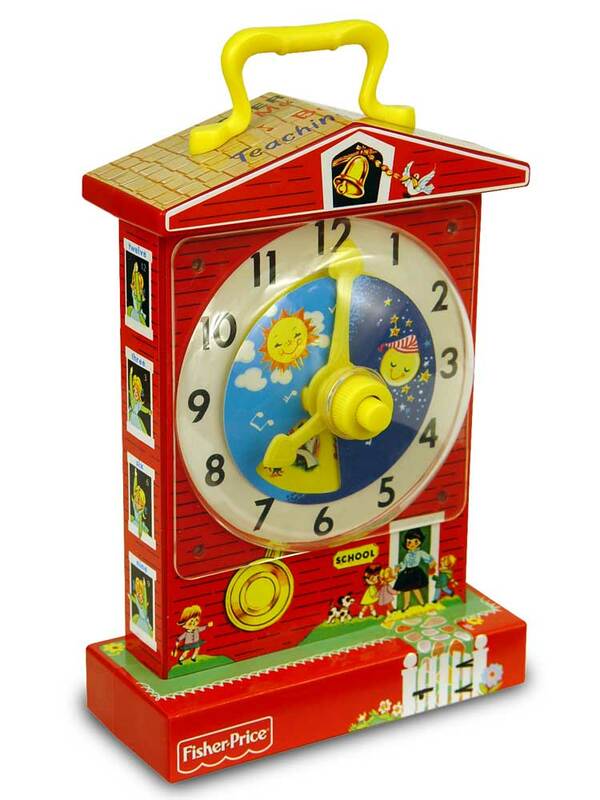 Fisher Price Teacher Clock merges with the Enigma of William Tell. Lead singer of Jethro Tull as a spectral moon playing an aqualung that's neither a Manitou, a Manatee or Manta Ray but a sea lion with sting ray gills and mouth! Frank Frazettas Man Ape appears to have been absorbed into the painting as well. a. i) Mordor IV shows itself to contain various floating creatures looking as if they're playing various wind instruments that generally conform to croissant shapes with valves. a. ii) However I decided on the 3rd April 2015, the valves become the gills of a sting ray and the mouth piece becomes the mouth of a sting ray, the shape roughly becomes like a sea lion, in place of a manatee and a manta-ray being played away by a manitou. 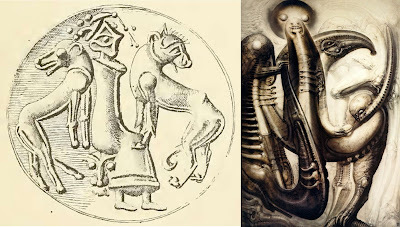 a. iii) A shorter entity with an animal leg looks as if a tentacle like flute is growing around of the side of its head, a tentacle with holes, and as a phallus sliding up between the hips of a phantom image of a woman. a. iv) By 12th August 2016 I had decided that the Fisher Price Teaching Clock was also being referenced (See: Aquatic Park imagery from 3rd April 2015) and by 4th December 2016, I came to realise that Frank Frazetta's Man Ape was perhaps used as a foundation for the painting.. 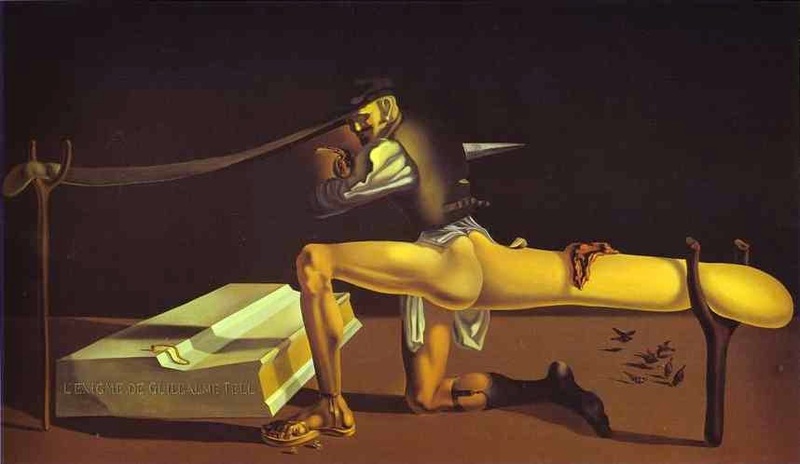 Meanwhile on the 18th January 2016, I realised that a thought or two was being given to the idea of Dali's "Enigma of William Tell" that had a similar surname to Jethro Tull, the piano, turning into a biomechanised electronic keyboard that would be played by musician John Spencer who is nothing more than a phantom impression integrated into his keyboard. By 12th August 2016, I had decided that the Fisher Price Music Box Teaching Clock was being referenced in this painting along with a few others, and the round spectral face playing the croissant and the head playing the baguette flute were in fact the sun or moon. There is a general crescent shape broken up into parts dominating the whole picture which is would represent the general circular form of the clock shape. e. i) 4th December 2016. I thought about the possibility that in the Egg Silo exterior painting, there were elements of covers from barbarian fantasy novels such as Conan absorbed into the painting amongst the petrified forms. I took a look at the various covers that would have been available in the 1970s and suddenly came by the painting Man Ape by Frank Frazetta, I realised that this was another painting that Giger would have been inspired by, it's one of Frazetta's best. e. ii) I took a look at Giger's paintings and then settled on the idea that it could somehow be part of Mordor IV, I couldn't automatically see beyond my abstract sense of association until I thought about the upper red glow on Conan and the upper part of the red cape in the air and thought about how it generally reminded me of the female uterus and cervix and in Giger's painting, there was the lower part of a woman's body receiving a long phallic flute between her legs as if we seeing a cross section of her insides. 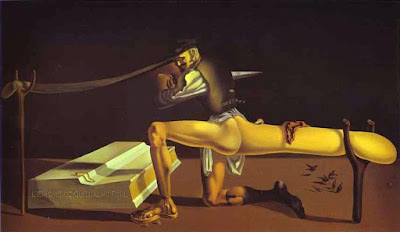 e. iii) It began to unfold in my mind that the head of the ape became the head with the long flute like baguette like form with holes and the curved upper part of this cape itself becomes the long protuberance penetrating the woman, and so the ape's leg become the clawed animal limb below. 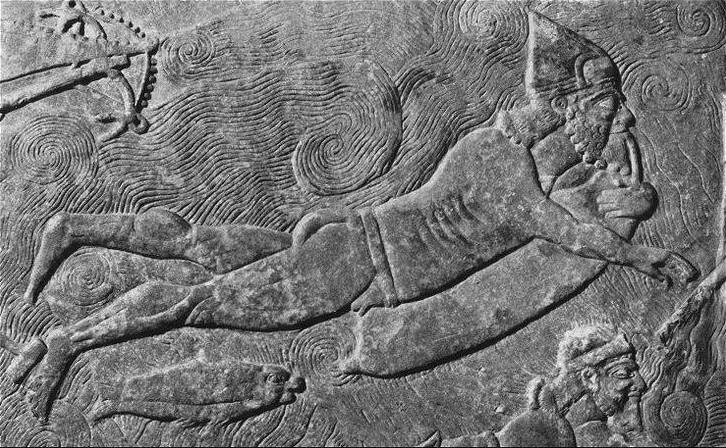 e. iv) Meanwhile Conan's arm to the left generally becomes one of the legs of the female body part. One might also have the idea that the upper part of the cape was turned around and transformed into the woman's lower torso. 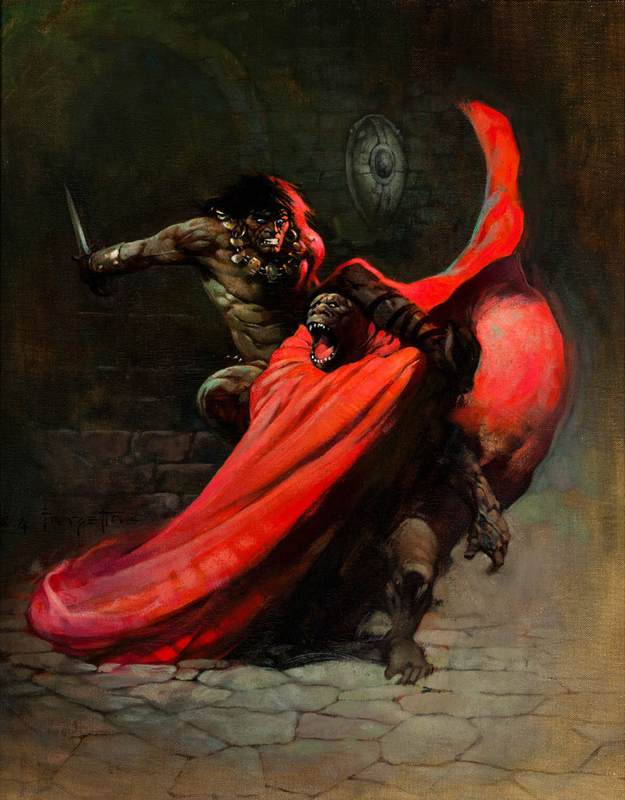 e. v) The lower part of the cape, perhaps we're only dealing with the area where the ape has his arm beneath the cape, becomes a croissant form with suckers absorbed into the other croissant forms curving upwards in the painting, and then perhaps it's also inspired by the round form of the part of the cape on the furthest right. e. vi) The shield above appears to become the aqualung pipes. e. vii) The "Man Ape" painting would have come into the composition because of the similarity to the words Manitee, Manta-Ray and Manitou which I have decided were part of the idea of the painting. 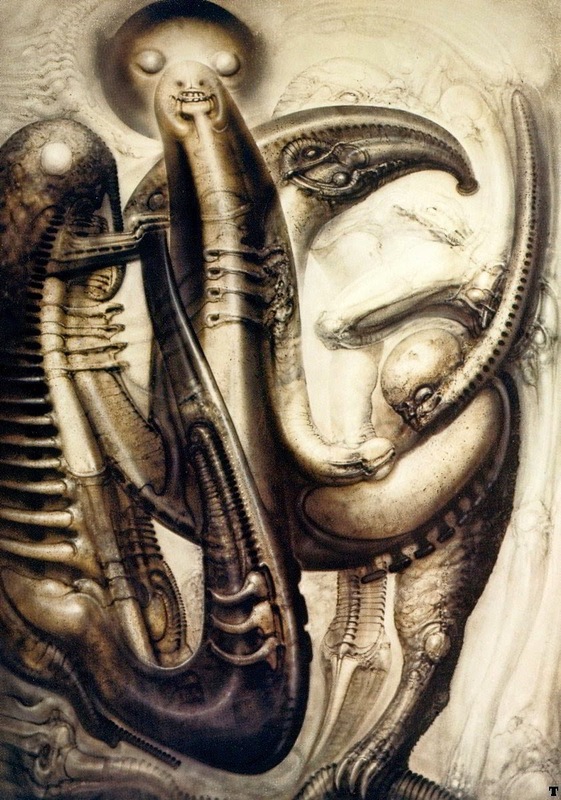 e. viii) The stairway and the tunnel would then perhaps become the left figure in Giger's painting, the archway hidden in the shadow at the top of the stairs become the row of rib like forms that are also in Giger's painting like a keyboard and the end of the cape at the bottom of the stairs also transforms into the left bottom crescent shape held by this figure. e. ix) The shield also perhaps becomes the eyes of the floating head associated with the sun at the top and the single eye of the left figure. Perhaps Conan's arm holding the knife transforms into the far left figure's arm although reversed. e.x) On the 14th May 2017, I suddenly realised that what would have drawn Giger's attention to this Man-Ape painting was the fact that it seemed to be another one of these paintings that curiously referenced Jean Delville's Treasures of Satan in it structure, and this painting itself might have borrowed elements from Chagall's Icarus painted that very same year which I also believe referenced Delville's painting. e.x.i.) 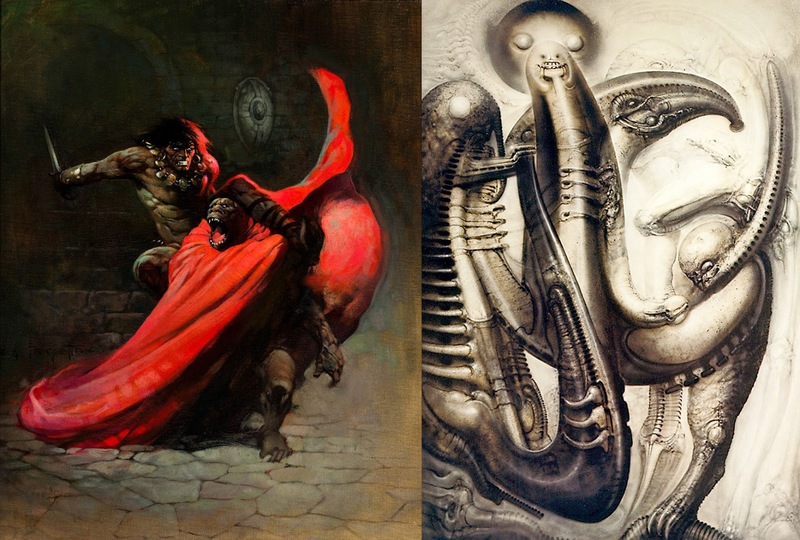 See: Man Ape by Frank Frazetta references Jean Delville's Treasures of Satan and Chagall's Icarus? 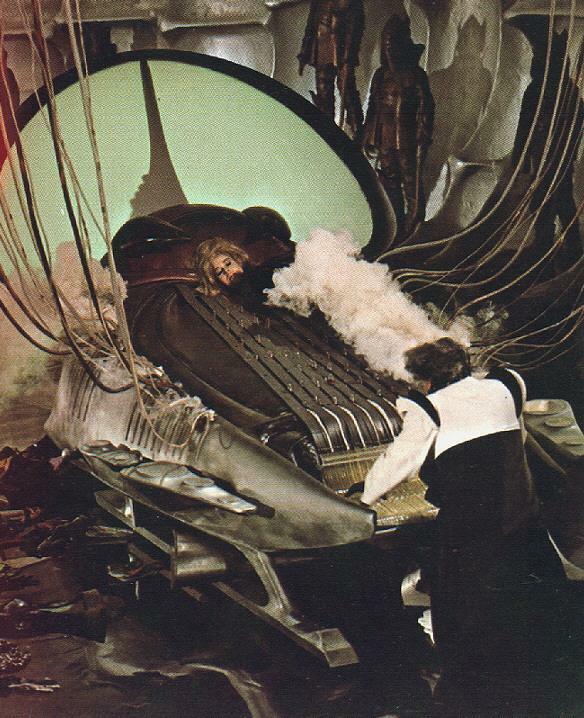 f) HR Giger's Mordor IV's references The Excessive Machine from Barbarella? f. i) 8th May 2017, I have thought about this for a while but this day I suddenly realise that the Mordor IV references the Excessive Machine from Barbarella (1968) directed by Roger Vadim. 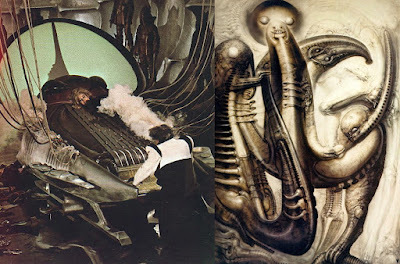 Some time ago I realised that the Space Jockey's seat referenced the Excessive Machine and it remained on my mind. Giger's painting appears to referenced Dali's Enigma of William Tell which I believe references the Henu Barque, I assume the Excessive Machine also is one of these things that also references the Henu Barque and somehow these mysteriously comes together in Mordor IV, as if Giger had a list of these Henu Barque inspired things tucked away somewhere for his god forsaken purposes for him to get out and remind himself when he came to work on Alien. 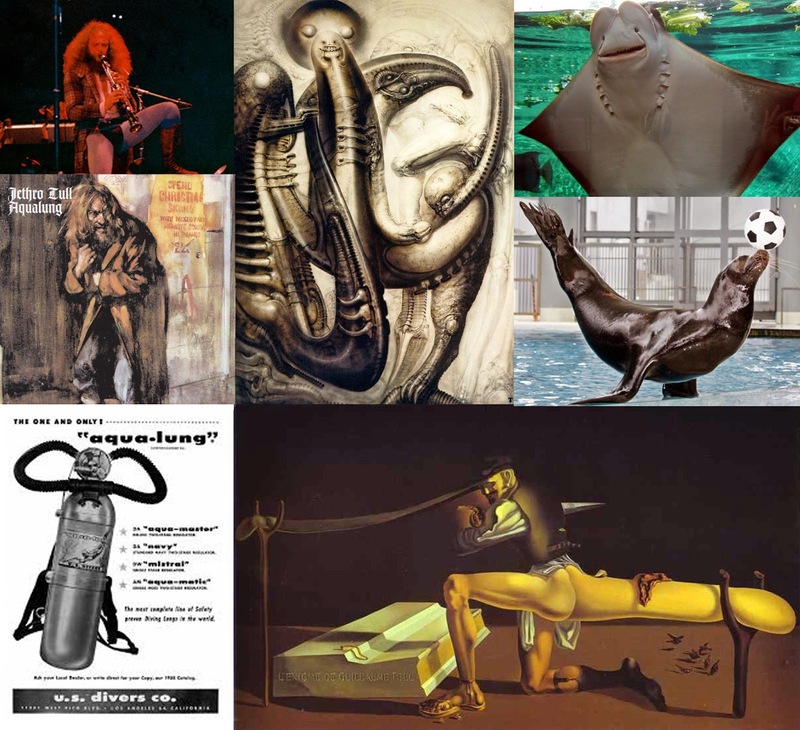 f. ii) Consider for instance the large head with two pimple like eyes at the top blowing the saxophone being similar to the head rest of the machine and Stingray mouth in front of it being the place where Barbarella's head is. f. iii) The humanoid at the bottom of the croissant with one large leg would become Durand Durand who plays the machine like an organ. 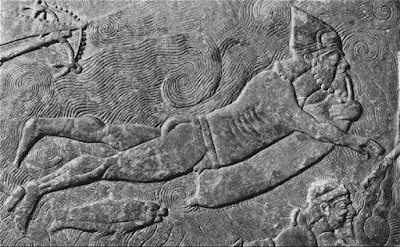 g) See: Mordor IV references Seated Goddess between Lions on Lentoid Ring-stone?